Bodies and minds are prone to a lot of stress within modern lifestyles, because moments of rest and contemplation are rare. However, for a healthy body and a clear mind it is essential to take a break from this ‘doing mode‘ regularly. When you take a break from most activities you will experience that your body and mind are still active. Thoughts don’t stop and keep suggesting you to keep going or attend more activities; the body remains restless and stays ready to continue or start another action. This agitation makes it hard to enjoy a moment of rest and therefor your first tendency is to skip it. You rather do something else then feeling the stress and tension in your body while at rest. The quickest escape from these feelings of discomfort is: thinking. It’s difficult to feel bodily sensations, when you always listen to thoughts that are asking your attention. When you observe the mind you will see that it never rests. It will always be there to serve you with ideas, plans, hopes and fears. However, this does not imply that you always have to do what your thoughts are suggesting. What happens is that your attention remains ‘in the head’ and you basically ‘think’ your life. You loose touch with your body and your mind rules your actions. When certain habits and beliefs that you have never questioned before are looked at from another perspective, then the journey of Self-discovery starts. You will see how likely it is that you initiate unnoticed patterns, thoughts, physical sensations and feelings that are not fruitful in the present moment anymore. Habits that are based on old believes and experiences have served you in the past and are ready to go, now. Kundalini Yoga is an effective way to drop your attention out of the head and back into the body. This shift of attention can change your perspective on the things you do and helps you to set new priorities in life. On the Practice Page you can find a very effective Kundalini Yoga videos to help you with this. You might wanna try the Kundalini Yoga Kriya for Physical health & Mental clarity. It helps to release stored emotions and tension in the body related to old habits and tendencies in only 9 minutes! This is a perfect Kundalini Yoga Kriya for you when you ‘think’ you do not have the time to practice yoga. 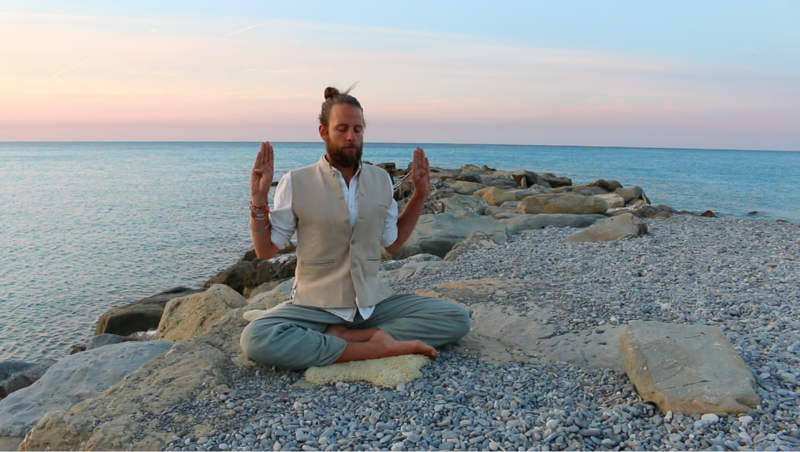 Yogi Bhajan designed these short sets to have a maximum impact in a minimum amount of time. Make use of it! A daily commitment can change your life!